Mallow + White have been making their presence known in the Fifi Friendly household this week. Firstly with their simply awesome and eco-friendly packaging that includes popcorn and petals ….. which protect your purchases and then can be fed to the birds…. genius. 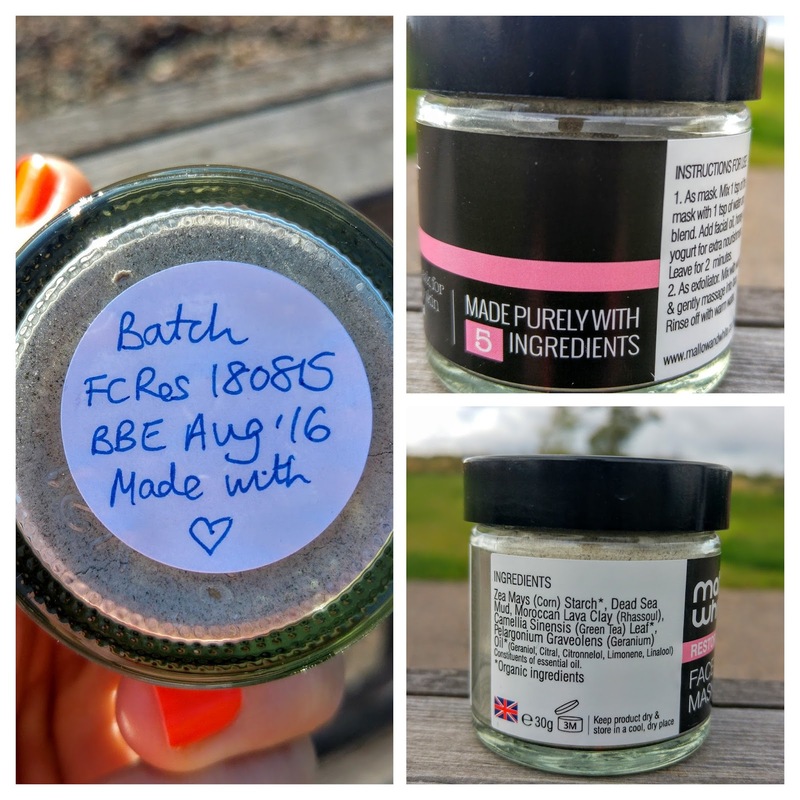 Secondly, I am loving their 100% natural, organic, handmade in small batches, vegan and award winning British products. 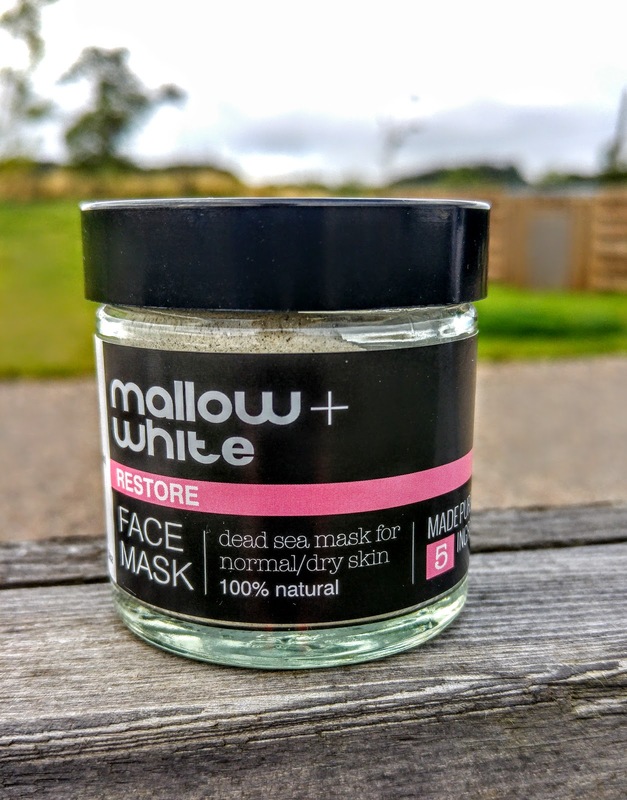 The first of their products I have been trying is the Mallow + White Restore Face Mask. This Dead Sea clay mask is 100% natural and I love the fact it comes in powder form. 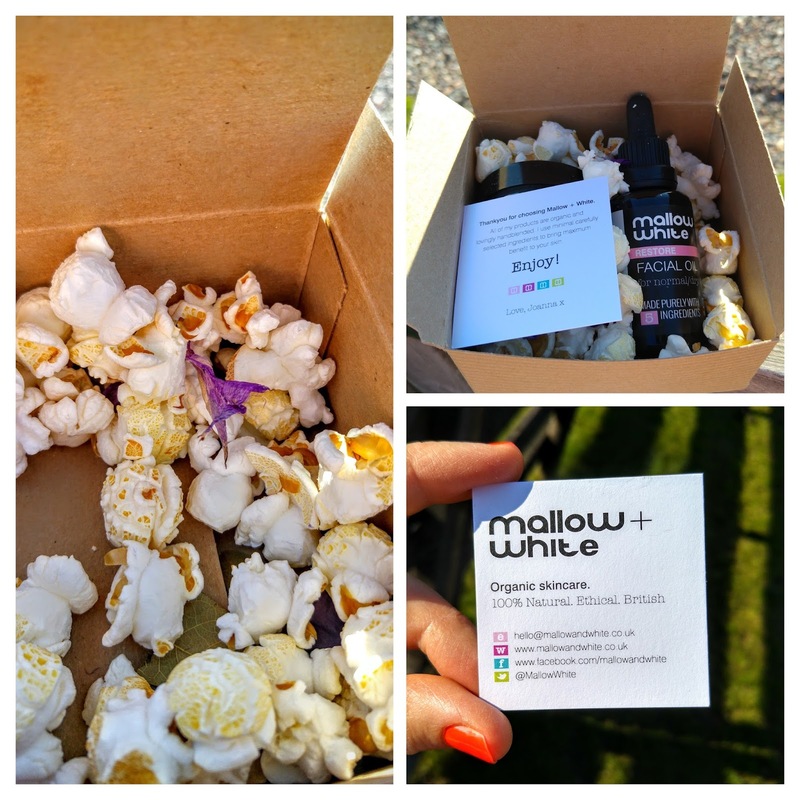 One of Mallow + White’s unique points is that each of it’s hand made products are made out of a small list of effective ingredients. This Restore Face Mask only has 5 ingredients in it! Dead Sea mud, Moroccan lava clay, organic green tea leaf powder, organic cornstarch and organic geranium essential oil all leave your skin detoxified, nourished, soothed, rebalanced and hydrated. This mask rocks! I love it. It really pulls out impurities, but importantly did not leave my skin feeling like it was ready to crack afterwards. You can use this product as a mask by adding some water and also your favourite facial oil or even yogurt and honey. Alternatively, as I did this morning, you can use it as an exfoliator. Fab Fifi Friendly face mask and now one of my 5* products. Congratulations Mallow + White!